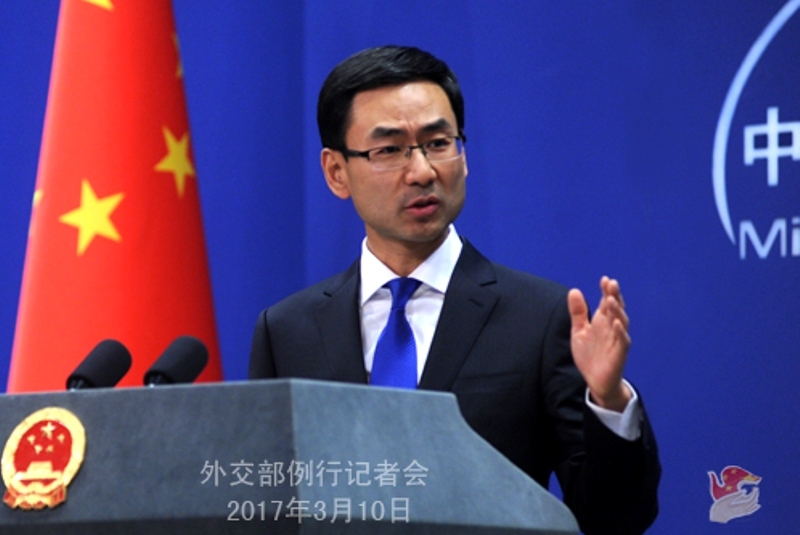 Beijing, February 7 (newsin.asia): China has said that the international community can play a “constructive role” in resolving the political crisis in the Maldives, but it insists that the sovereignty of the country be respected. Geng was asked to comment on former President Mohamed Nasheed ‘s call to India to intervene in the Maldives by sending a Special Envoy backed by the Indian military. “What is happening now falls within the realm of the internal affairs of the country. China has always adhered to the principle of non-interference in the internal affairs of others,” the spokesman said. Asked to comment on Nasheed’s contention that Maldivian President Abdulla Yameen is acting boldly because he is backed by China, the Chinese Foreign Ministry spokesman merely said that the current crisis is an internal matter and that China does not interfere in the internal affairs of the Maldives or any other country. “We have made it very clear that we hope the various parties in the Maldives will properly resolve differences through dialogue and negotiation and restore national and social stability as soon as possible. We are calling upon all relevant parties to do so,” Geng said.